During events, I can draw while walking around or sitting down. A caricature usually takes about 7 to 8 minutes. When the drawing is shown this creates a nice atmosphere, with laughter and applause… Of course, guests may take home their caricature. This gives them a unique and personal gift. There are many possibilities: logo printed on the drawing paper, drawing using a projector, a group caricature or drawing on a tablet. I can print the logo of your company on my drawing paper, or a slogan or the name of the lucky person… Just send me the file in high resolution and I will take care of the rest. A very successful formula whereby people can watch the caricature being drawn live on a big screen. Everyone can enjoy the drawings, adding an extra dimension to the entertainment. This is not drawn on paper, but digitally on a tablet. 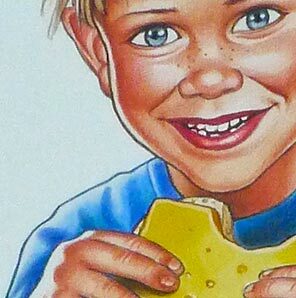 The drawings can be printed, posted on a special website or forwarded by email. A large caricature of a whole group, a team, all those celebrating an event together. This cannot be done walking around, but must be done at the table where people briefly pose for me. 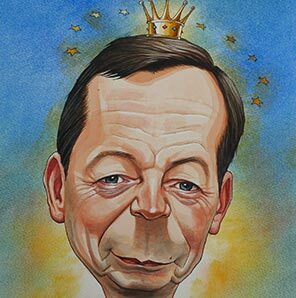 Companies and private individuals can give a really special gift: a meticulously coloured (often framed) caricature. Just the head or with other elements such as (slightly mischievous?) references to work, hobbies or other typical items. The photos I use are extremely important: I need, sharp and clear close-up images. A poor quality photo can only result in a poor quality caricature. Companies or groups attach increasing importance to collegiality and team spirit. 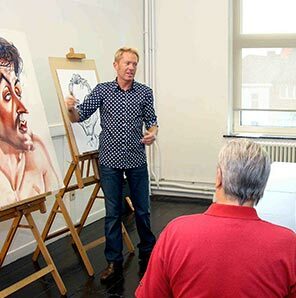 In a caricature drawing workshop this is emphasized in an original and fun way. Participants learn the basics and draw each other. They also make a caricature as a group. The workshops are ideal for team building or group events. 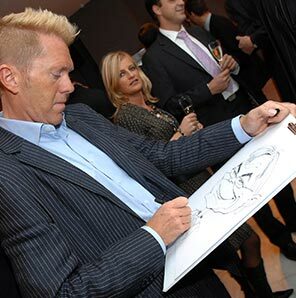 Besides my caricature work I am often asked as an illustrator for advertising agencies, companies or magazines. 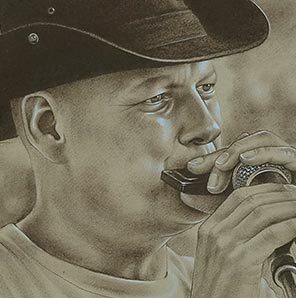 My favourite techniques are pencils, pastels, watercolours and engraving techniques. Digital drawings are also possible. Pastels and pencils together with watercolours are my most commonly used techniques. Portraits can be either colour or black and white. 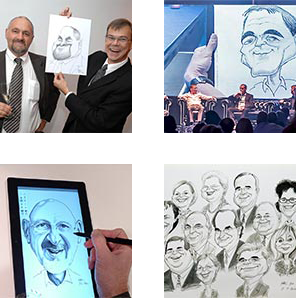 The same golden rule applies as for caricatures: good quality photos are an absolute must. Clients can also come along to my studio so I can take the necessary photos myself.